There's a little more alcohol, and a little less singing around a campfire- but the resemblances are uncanny. 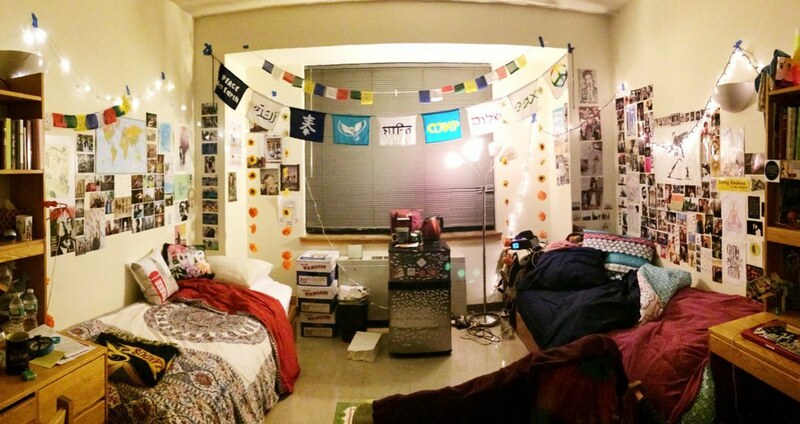 Before college, I had never really lived away from home, and I definitely had not lived in a dorm on an Ivy League campus. However, I had experienced a different kind of not-like-home experience: Jewish Summer Camp. I have spent at least 2 weeks of summer for the past seven years at URJ Camp Newman, a reform Jewish sleep away camp in Santa Rosa, California. For the past three years I have spent the whole summer there, including this past summer right before college when I was a counselor. After going straight from camp to college, I have noticed that the two experiences aren’t very different. Ok, maybe living with 1-3 roommates in a small room isn’t exactly like living with up to 15 little kids in a tiny, overheated cabin, but there are definitely similarities. First of all, in both situations you share your room. Unlike the comfort of my house, I come home to a place where someone might be listening to music, sleeping or crying about homesickness (let’s hope that’s at camp and not my roommate). Also, in both situations you have very little space to call your own. For half of the summer, I only had 2 small shelves and some under the bed storage in the cabin. In my dorm, I have a few drawers and an armoire. And on top of just storage space, the area you do own becomes sacred. When you only have half of a small bunk bed, or half of a room with just a Twin XL and desk separating you from 12 screaming kids or the reality of midterms and papers, you learn to OWN those square feet. Besides your RA just being there for you like a counselor is for there campers, literally by being just down the hall or living in the cabin, RAs also have the responsibility of organizing activities for the hall. On the night before classes started, my RA brought craft supplies for us to decorate our planners and notebooks with together, which reminded me a lot of countless hours I spent at camp making friendship bracelets with my campers. Unlike camp, RAs also provide things like condoms!NSOP edition: OLs are also kind of like camp counselors, from giving you a tour on the first day to making you participate in icebreakers. Once my OL even told us to drink water because it was hot, something I said a lot this summer to campers. At camp, you eat at the same dining hall for 3 meals a day, every day of the week. Because of Barnard first-years’ crazy meal plan, we have to eat almost all our meals on campus and because of our proximity to it, most of the time at Hewitt, Barnard’s simple dining hall. Just like at camp, where I ate tater-tots 3 days a week and pancakes, waffles or bagels on the other four days simply because it was there, I eat potatoes and pancakes, waffles or a bagel almost every day for breakfast in Hewitt (in college you can have them TOGETHER #freshman15). Because the dining options are so limited at camp, everyone learns how to make the best of it: like putting salad bar fixings in a sandwich or putting pasta in the tomato soup on grilled cheese day. Similarly, in college we all figure out what combination of food works best for us, whether it be eating an omelette 3 meals a day because of the crazy menu and hours at JJs or eating a Diana Pizza and curly fries in the same meal. And just like camp, when we finally do venture away from the dining hall we enjoy it more than we would if we were just at home. Bonus: Hewitt has a kosher section, which often brings more observant Jewish students into the dining hall, practically recreating dining hall memories from Jewish camp, and also making finding a nice Jewish boy easier at an all women’s college. Sprain your ankle? At camp all you’ll need to do is limp down to the infirmary to get a wrap, some ice and maybe an otter pop. Need a book written in French about music in the 18th century? 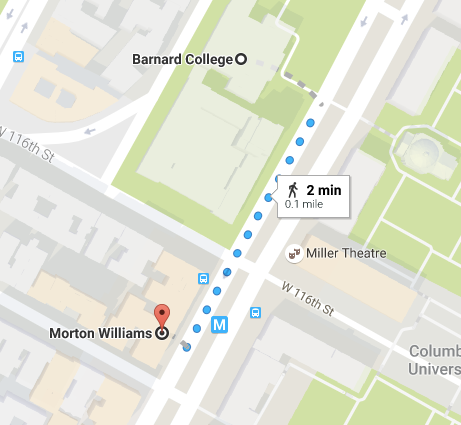 Walk over to one of Barnard or Columbia’s many libraries and someone can help you find it. At camp, everything is centralized because it has to be: campers can’t just leave camp whenever they want to, so all activities and resources have to be available for them near where they sleep and eat. College is the same in many ways. While we are (kind of) adults living in New York, we paying to study and live on our tiny campus, so everything from classes and libraries to gyms, social events and even health services are all readily available to us right here at Barnard. 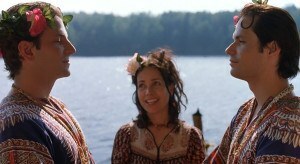 At Jewish summer camp, your summer crush might end up being your brother’s counselor's ex-girlfriend’s cousin, or someone could end up being your own distant cousin that you find out about because you run into them at a family reunion on the last day of camp (true story- happened to me). No matter what, even if you meet someone new, there is no doubt you have tons of connections with them or even have met them before years ago. Although most people you meet in college are new, I have met many people from my hometown with whom I have mutual friends, and many people I meet here once end up showing up again for some reason. That random OL you went on a neighborhood tour with? They might live in the suite you are trying to get into for a party. 6. There are traditions that people outside of the community don’t understand. NUTS? Yom Sport? CIT Countdown? Does this all sound like nonsense to you? That is probably because you most likely didn’t go to camp with me. But to everyone at my camp, these are important traditions we all dress up for and look forward to every year. 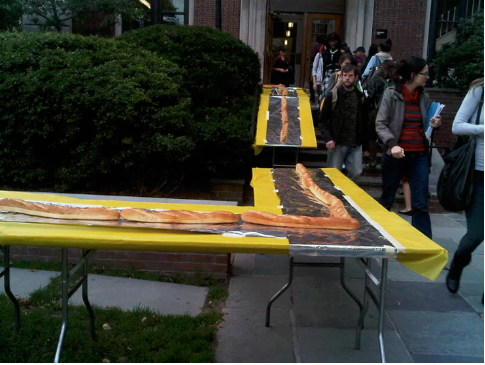 At Barnard, traditions like NSOP, Big Sub and Midnight Breakfast might sound like a bunch of nonsense, but by the end of the semester are something all students look back at fondly (or so I hope- first year here). 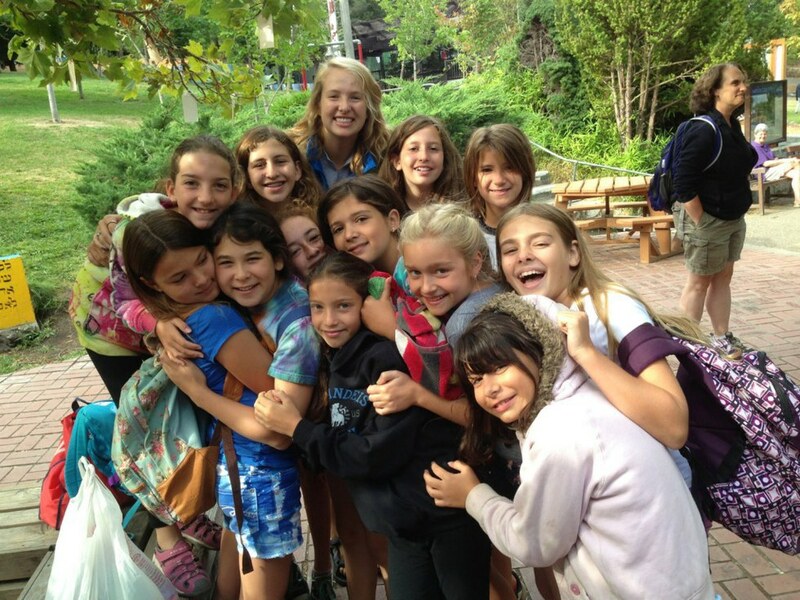 At camp, the Jewish opportunities are obvious- you live with a bunch of other Jewish kids, participate in Jewish programming and celebrate Shabbat every Friday and Saturday. 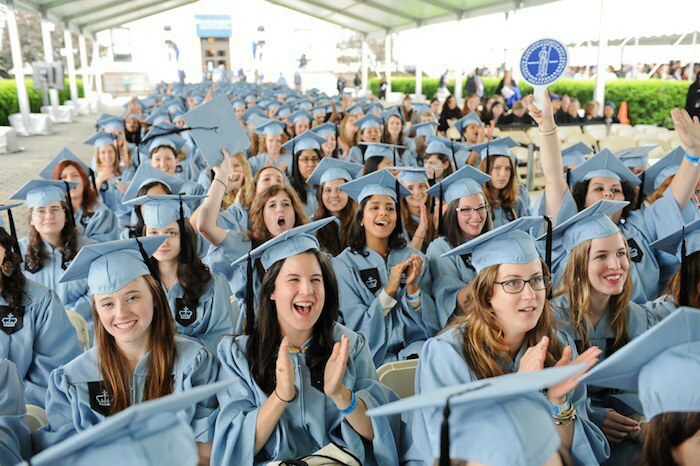 At Barnard, we have the Columbia-Barnard Hillel and Kraft Center, which host programs, seminars and services we can go to throughout the whole school year. I have been attending camp since I was 12, and I have memories from that first year and every year since that I will cherish forever because camp made such a profound impact on my life. And while I may only be a first-year at Barnard, and I am definitely still adjusting here and finding my place, all the opportunities I have here to take amazing classes, join clubs and explore New York City show me that by the time I graduate I will have memories that will stay with me for the rest of my life.